Spirit Airlines flight cancellations spike: Are pilots on strike? Since CEO Bob Fornaro took the top job at Spirit Airlines(NASDAQ: SAVE) in early 2016, the largest U.S. ultra-low-cost carrier has tried hard to improve its customer service. Spirit has acquired a terrible reputation over the past few years, but its on-time performance and other customer service metrics have improved dramatically over the past year. However, Spirit Airlines now faces a new threat to its reputation. The company has been forced to cancel more than 300 flights since the beginning of May -- about 10% of its schedule. 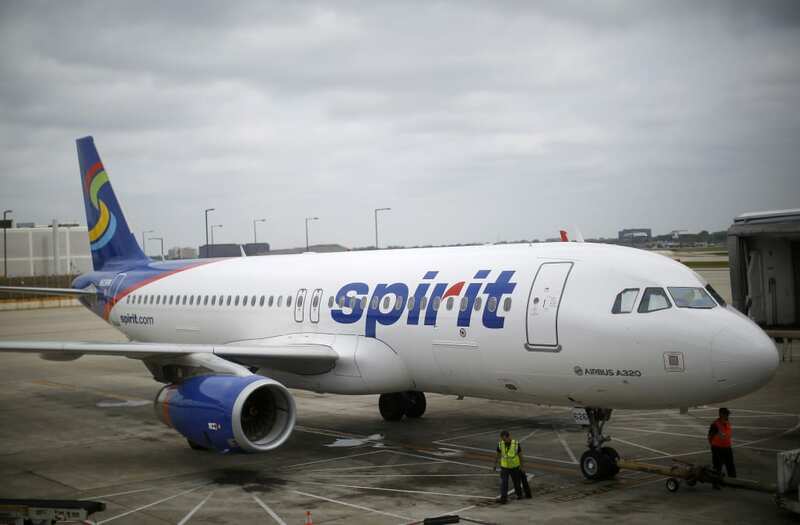 According to Spirit, the sudden decline in reliability is being caused by an illegal work slowdown by pilots who are agitating for a new contract. During the first several months of 2017, Spirit Airlines' operational performance improved significantly year over year. But the trend changed abruptly in early May, and the number of flight cancellations has surged. Spirit Airlines has seen a sharp decline in the number of pilots picking up "open time" -- i.e., trips that are not assigned in the initial pilot scheduling process and are typically covered by pilots looking to work a few more hours to make some extra cash. Offers of bonus pay have even failed to lure many volunteers. As a result, Spirit Airlines has canceled hundreds of flights since the beginning of May, often with no advance notice to customers. The cancellations peaked on Sunday, when Spirit had to cancel 89 flights (about 18% of its schedule), according to flight tracking service FlightAware. Spirit had to cancel another 65 flights on Monday, and as of Tuesday afternoon, Spirit led all airlines in cancellations for the day. Not surprisingly, these cancellations have made a lot of customers very unhappy. On Monday night, police had to intervene after angry customers threatened Spirit employees at a check-in counter in Fort Lauderdale, leading to several arrests. It's safe to say that Spirit Airlines has squandered any goodwill it had gained from its recent performance improvements. This represents another setback in the company's efforts to drive long-term improvements in its unit revenue growth. Spirit Airlines and its pilot union naturally have differing views about the cause of this spike in cancellations. Spirit claims the pilots are coordinating to disrupt the company's operations in order to pressure the company to make a better contract offer. The pilot union has denied responsibility and says the pilots are doing their best to get the airline back on track. It has also alleged that Spirit Airlines is understaffed and that a shortage of pilots is the real cause of the recent problems. By Monday, the dispute between the company and its pilots had escalated so much that Spirit Airlines filed a lawsuit against its pilot union, seeking a court order forcing its pilots to return to the "status quo." Spirit's court filings include several posts from an online pilot forum in which Spirit pilots proposed intimidation tactics against fellow pilots who volunteered to pick up open flights. And while the union has emailed pilots twice to remind them that they are prohibited by law from taking collective action, it has over the past year encouraged pilots to do "whatever it takes" to pressure Spirit into offering a better contract. On Tuesday, a federal judge sided with Spirit Airlines. The court issued a strongly worded temporary restraining order requiring the union to make sure its members do not engage in any concerted slowdown or other labor action pending a hearing next Monday. Will the court ruling be effective? There's no doubt that Spirit Airlines' pilots are underpaid right now. For example, pilots at fellow ultra-low-cost carrier Allegiant Travel agreed to a new contract last year with a top-of-scale wage of $216 per hour. By contrast, the top-of-scale wage at Spirit is $185 per hour. The difference is even greater at lower seniority levels -- and most Spirit pilots are nowhere near the top of the wage scale due to the company's rapid growth in recent years. On the other hand, Spirit's most recent contract proposal offered the pilots an immediate raise of about 30%. That would get its pilots much closer to their peers, especially because Spirit's brisk expansion enables its pilots to move up the ranks much faster than they would at other carriers. However, in return, Spirit has demanded work rule changes in order to improve pilot productivity. Meanwhile, the union has demanded much larger raises that would cost Spirit Airlines $1.9 billion over five years (according to the company's estimates). Spirit's adjusted pre-tax profit last year was $461 million, so raises of this magnitude would eviscerate its profitability. So while the company's offer may not be a great deal for pilots, the pilot union's current contract proposal seems to be a non-starter. Spirit desperately needs the temporary restraining order to be effective -- and it needs to win a preliminary injunction in the hearing scheduled for next week. Unless its pilots return to their normal work habits, flight cancellations are likely to become even more frequent during the busy summer travel season. For now, travelers planning to fly Spirit in the next few days should come up with a backup plan. Tuesday's court ruling should put an end to the recent rash of flight cancellations at Spirit Airlines, but it will take a few days to be sure that pilots are complying with the court order. Adam Levine-Weinberg owns shares of Spirit Airlines. The Motley Fool recommends Spirit Airlines. The Motley Fool has a disclosure policy.